A spare key can come in handy whether you’ve locked yourself out of your house in the cold or enlisted your friends into checking on your pets while you’re eating delicious food in another country. But where should you keep that spare key? In a potted plant? Under your doormat? Inside a fake plastic rock? Be honest—if you were trying to get into someone else’s house, those are probably the first places you’d look. Dimensions 6.8 x 3.2 x 2.7 in. 2.6 x 4.5 x 5 in. 6.8 x 3.2 x 2.6 in. 2.3 x 0.75 x 5.5 in. 5 x 3 x 6 in. 1.1 x 4.7 x 2 in. 6.8 x 3.2 x 2.7 in. 2.6 x 4.5 x 5 in. 6.8 x 3.2 x 2.6 in. 2.3 x 0.75 x 5.5 in. 5 x 3 x 6 in. 1.1 x 4.7 x 2 in. *Data current as of 1/9/2019. Prices subject to change. 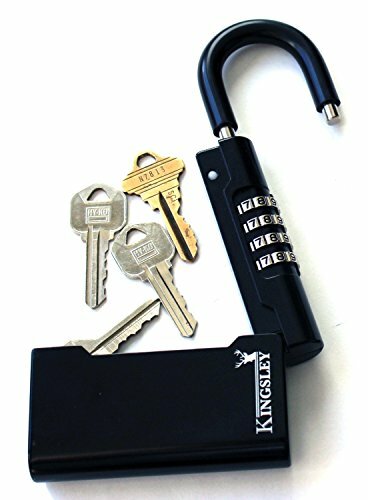 Storing a spare key outside your home so your kids can let themselves in after school? Consider installing a permanent key lockbox outside your home so there’s always a backup key available for those who need it, whether you’ve rented your home out on Airbnb or accidentally locked yourself out in subzero temperatures. We like this lockbox because it’s sturdy, roomy, and easy to use. The solid construction means it would be difficult for someone to pry or break open. And since it’s simple, it is easy for guests to use when they stop by your house. 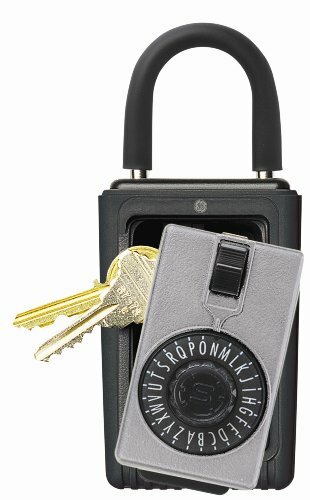 KeyGuard’s lockbox isn’t quite as simple as the Kidde AccessPoint, but it’s still sturdy and the keypad is easy to use. We also like the fact that the keypad is covered, so it doesn’t automatically stand out as a target for burglars. Asking your sister to check on your cat while you go out of town? A portable lockbox could come in handy—your sister can unlock and lock your door even if you don’t have time to meet her before you leave to give her a key in person. Portable lockboxes are also some of the best realtor lockboxes. If you need to let potential buyers check out a property when you can’t be there, a lockbox is a simple solution. 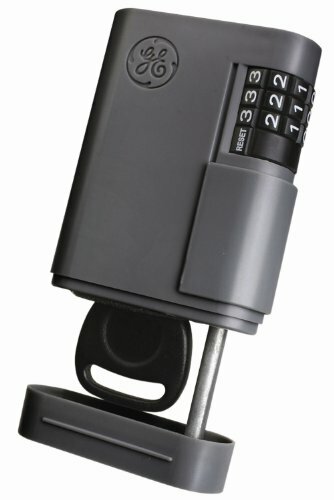 The portable version of Kidde’s AccessPoint lockbox hangs easily over any normal doorknob or gate. It offers the same benefits as the permanent one—it’s sturdy, simple, and easy to use. The portable version also has a rubber case to help protect against weather. 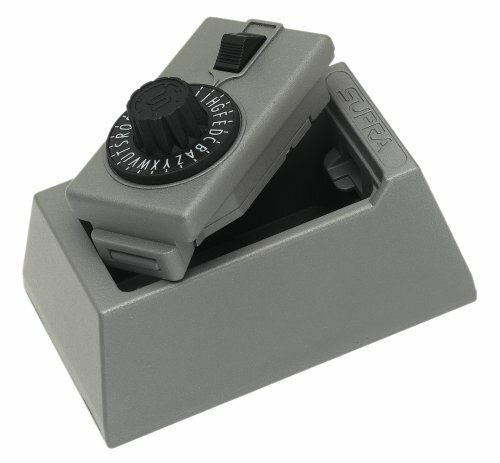 This combination lockbox is sleek and well-reviewed by hundreds of customers. It doesn’t have a rubber shell to protect against weather, so it’s not quite as robust as the Kidde version, but it should work for most situations. It’s nice to relax on the beach or run at the park without worrying about carrying (and potentially losing) your car keys. A simple lockbox that can be hidden under your car gives you an easy place to stash a spare key while you’re out having adventures. 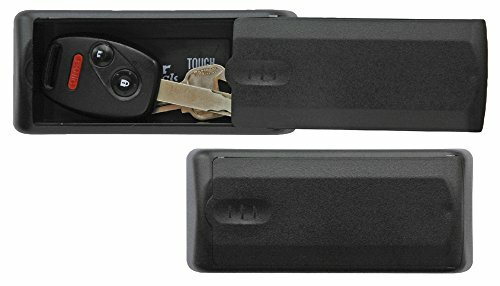 This small, magnetic lockbox can be stashed underneath your car if you need a spot for backup car keys, but you could also use it on other magnetic surfaces inside or outside your home. This box isn’t technically a lockbox, but it’s small and inconspicuous, so it’s easy to hide. If you aren’t worried about break-ins but worry about locking your keys in your car, this is an inexpensive solution. Where should you put your house key lockbox? While a good lockbox would be very difficult to open without a combination or code, you still shouldn’t call attention to the fact that there’s a key stored outside your house. Find a spot to install it that’s not easily visible to people passing by. Consider putting your lockbox behind a post or plant or on the side of your home instead of next to the front door. 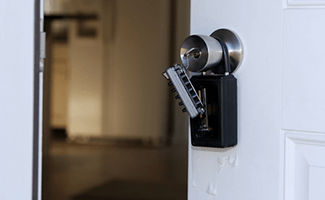 A lockbox is a cheap, secure storage option if you aren’t ready to spring for a pricey smart door lock, but even the best lockbox isn’t a foolproof security solution. A skilled and dedicated burglar may still be able to crack the code or break the box. If you use a lockbox to store keys outside your house, we strongly recommend installing motion sensor security lights and a doorbell camera so you can see who is coming and going while you’re away—most doorbell cameras even let you communicate with visitors. This will ease your mind, deter potential burglars, and make it easier for guests who are checking on your home. Do you store keys outside your house for yourself or visitors? Share your advice in the comments below!